From master storyteller Stewart O’Nan, a timely moral thriller of the Jewish underground resistance in Jerusalem after the Second World War. In 1945, with no homes to return to, Jewish refugees by the tens of thousands set out for Palestine. Those who made it were hunted as illegals by the British mandatory authorities there and relied on the underground to shelter them; taking fake names, they blended with the population, joining the wildly different factions fighting for the independence of Israel. City of Secrets follows one survivor, Brand, as he tries to regain himself after losing everyone he’s ever loved. Now driving a taxi provided–like his new identity–by the underground, he navigates the twisting streets of Jerusalem as well as the overlapping, sometimes deadly loyalties of the resistance. Alone, haunted by memories, he tries to become again the man he was before the war–honest, strong, capable of moral choice. 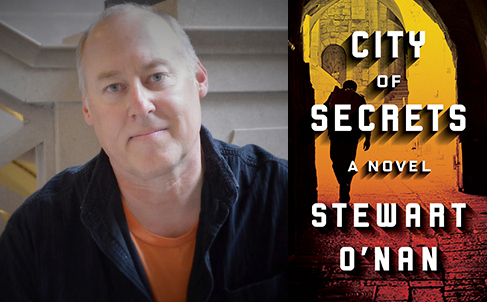 A noirish, deeply felt novel of intrigue and identity written in O’Nan’s trademark lucent style, City of Secrets asks how both despair and faith can lead us astray, and what happens when, with the noblest intentions, we join movements beyond our control. Click to request an egalley on Edelweiss. Click to request an egalley on NetGalley. Genevieve Cogman of the Invisible Library series discusses her experience with libraries and librarians. Don’t miss the newest novel in the series, The Mortal World. Click to Learn More About the Invisible Library Series. 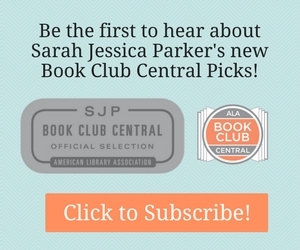 Don’t Miss the EarlyReads Chat with the Debut Author of The Bear and the Nightingale!